BBC has released the trailer for the upcoming comedy series Motherland, about the trials and tribulations of middle-class motherhood. The show, written by Sharon Horgan, Holly Walsh, Helen Linehan, and Graham Linehan, and directed by Juliet May, follows Julia (Anna Maxwell Martin), an overstressed working mother who tries to juggle kids, school, and other parents. The first episode of the series sees Julia getting out of her comfort zone by throwing a birthday party for her daughter, where she (reluctantly) invited the entire class. 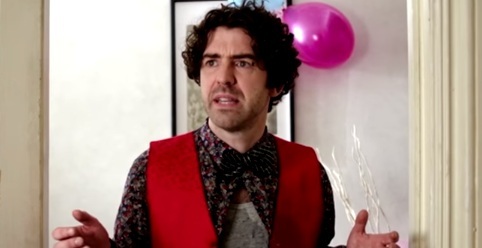 Luckily, she has help from her friends Liz (Diane Morgan), who knows lots of party hacks, and Kevin (Paul Ready), a stay-at-home dad who has entertaining skills. The trailer, set to the rhythms of Flute Troopin by Deep East Music, begins with Kevin announcing Julia that Ivy vomited on him and then she vomited again and continues with a series of “uncensored”, “unfiltered” and “unashamed” scenes related to parenting. Julia is shouting to her kids, who’re fighting in the back seat of the car, to shut up, Liz is pouring alcohol in the punch served at a party and when she’s told that her measures are “very large”, she denies, mentioning “they’re normal for a school raiser”. Motherland will premiere on Tuesday, November 7, at 10pm, on BBC Two.